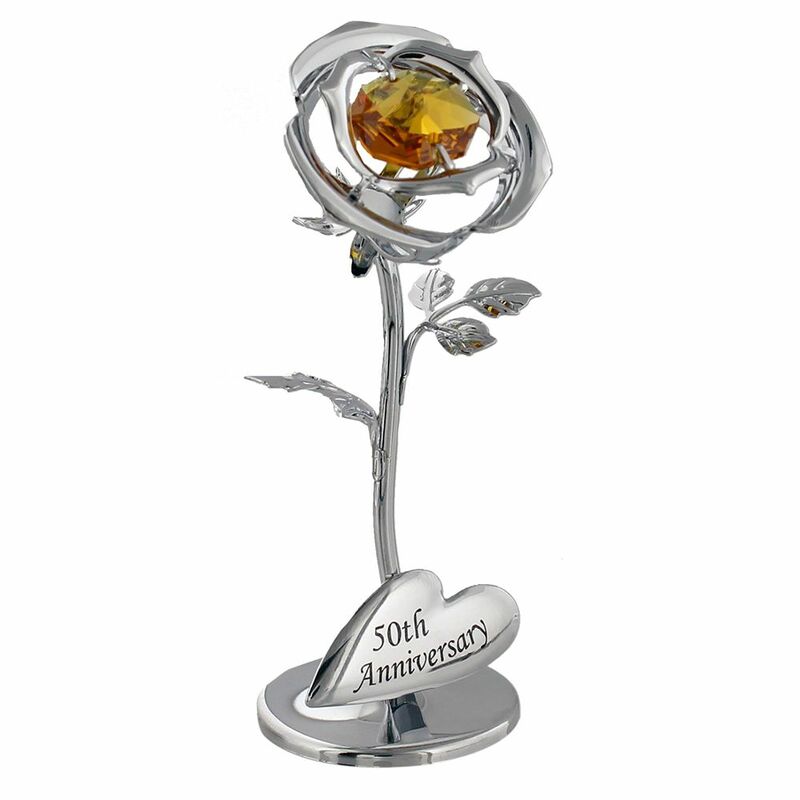 Stunning silver plated flower themed free standing ornament with "50th Anniversary" print. Complete with small and delicate golden Swarovski crystal glass bud. A very unique and thoughtful gift for a couple celebrating their 50th wedding anniversary. This gift ornament is supplied in a well presented gift box. Total product dimensions: Height: 9cm, Width: 4cm, Depth: 4cm.